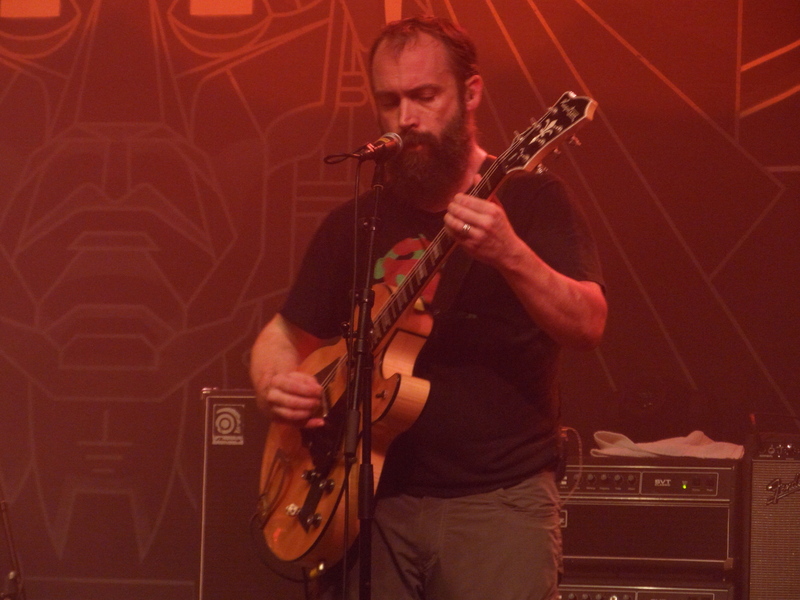 Share the post "Gig review: CLUTCH – 02 ABC, Glasgow, 7 May 2014"
The first time I saw Clutch live was a couple of years ago in support to Thin Lizzy. I wasn’t sure what to expect that night, but what I witnessed was one of the most intense and entertaining support slots I have had the pleasure to see and the band went down a storm with the Lizzy crowd. The fact that a band which are so good live were playing in support was the biggest surprise, but Clutch have always flown slightly under the radar in rock circles. On this current tour though, it would appear that the fan base is growing in the UK and deservedly so. First up tonight were another band who, on this showing, should be destined for bigger things. Lionize have had a close relationship with Clutch for many years and indeed the guys are on Clutch’s record label. 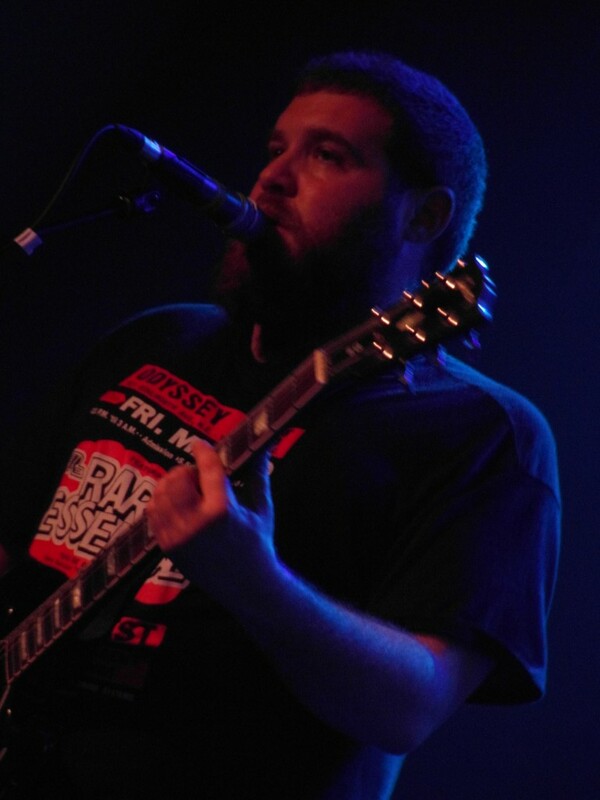 Lionize blend blues rock with many things including a bit of reggae and draw on a wide range of influences. The set was made up of tracks from their four albums including their latest release ‘Jetpack Soundtrack’ and the band rocked hard and heavy. The guys said very little, instead they kept the momentum going and ran from one track to another without stopping for breath. Highlights were the punchy ‘Reality Check’ and ‘Sea Of Tranquillity’ which has a heavy Steel Pulse influence. By the end of the set the band had done enough to convince the crowd that Lionize are a band with a bright future and an original sound. With the hall now almost at capacity Clutch took to the stage and the crowd erupted. Starting the proceedings with ‘Book, Saddle & Go’ the band instantly hit the spot. 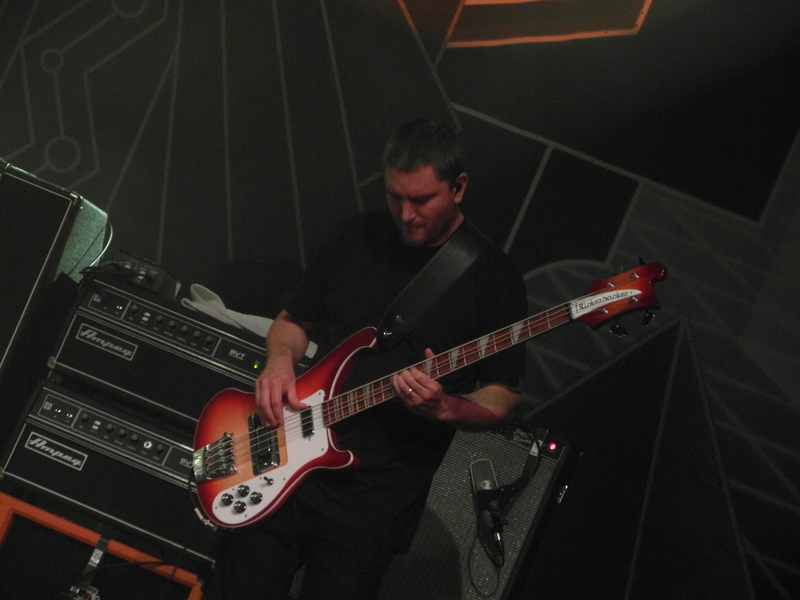 Frontman Neal Fallon is the focal point of any Clutch performance. He is a pent up ball of fury with facial expressions to rival Mr Bean. The rest of the band are happy to focus on producing the intense musical soundtrack to accompany Fallon’s performance and the electricity produced on stage between the four could power a small town. This tour is in support of the band’s latest album, ‘Earth Rocker’, which is one of the heaviest records the band have produced and live the tracks are even heavier. The title track went off like someone had dropped a hand grenade in the middle of the crowd with a circle pit forming and bodies flying. Things got a bit wild in the crowd again during ‘The Mob Goes Wild’ which went straight into ‘Unto The Breach’ with Fallon urging the masses on. Musically things were spot on. Guitarist Tim Sult always appears to be lost in the music, but his playing was fantastic throughout, whilst Jean Paul Gaster and Dan Maines are one of the most solid backline pairings you will witness live. ‘Gone Cold’ took things down a notch or two and provided a bit of respite for audience and band alike. This proved to be the calm before the storm though as the pace was upped once more as the band raced to the end of the set. Fan favourite ‘Electric Worry’ provided an opportunity for a bit of crowd participation which they were happy to provide and the band rounded things off with ‘One Eye Dollar’. They weren’t finished however and returned for two tracks, the very apt ‘Pure Rock Fury’ and ‘DC Sound Attack’ which saw Fallon knocking seven shades out of a cowbell! Clutch played an absolute blinder tonight. Essentially what you had was four guys on a fairly sparse stage cranking out some of the most intense songs in rock. The fact that the band look so unassuming and laid back makes the live performance all the more surprising. 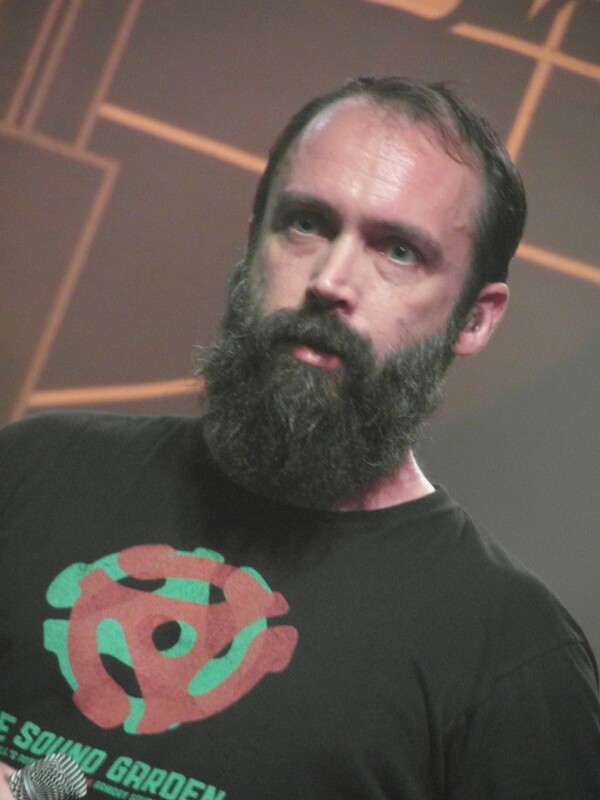 If you get a chance to witness Clutch live I heartily recommend you do, I can guarantee you won’t be disappointed. 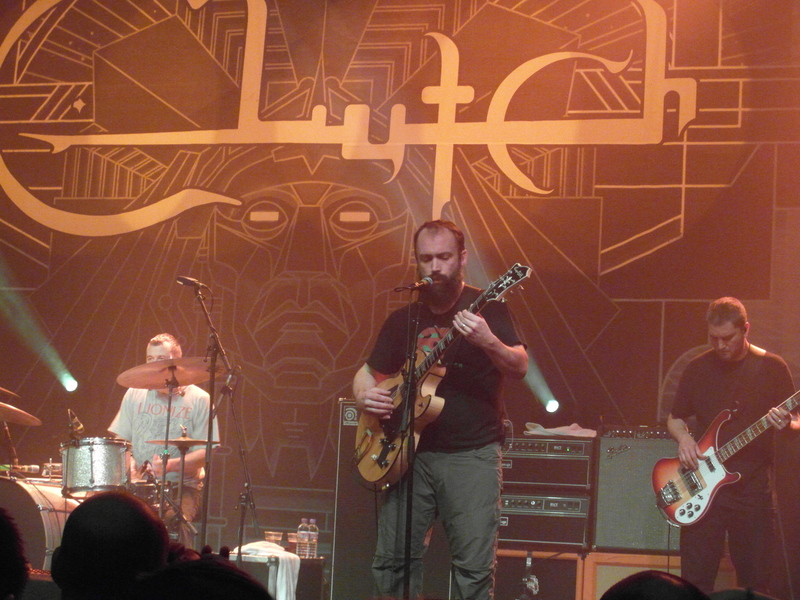 This entry was posted in All Posts, GIG REVIEWS and tagged 02 ABC, 7 May 2014, blues, Clutch, Dan Maines, Earth Rocker, gig, Glasgow, Jean Paul Gaster, Jetpack Soundtrack, Lionize, live, Maryland, Neal Fallon, review, rock, Steel Pulse, Thin Lizzy, Tim Sult. Bookmark the permalink.